Your skin is breaking out, looking angry, or feeling dry and you have no idea why. There are very few people blessed with perfectly balanced skin that withstands life’s trials and tribulations. Even people who may have made it through the delicate years of adolescence without acne can develop sensitive skin later in life. 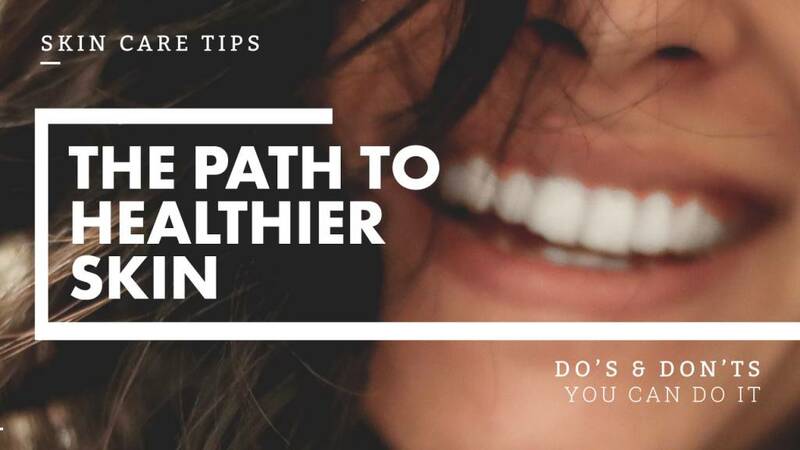 Unfortunately taking care of your skin can be a full time job, but there are a few things you can do to make that job easier. Here is our three-pronged approach to treating the skin you’re in. I’m going to start with the hardest thing first. Diet. Drinking plenty of water and having a diverse, colorful diet can help prevent long-term skin issues. Sometimes eliminating certain types of food can have an amazing effect. The most common skin irritants are Dairy, foods that contain high levels of soy, and foods with added sugar. Some people can benefit from not eating gluten, but research suggests it is only those with a gluten allergy. Perhaps the reason most people see a difference when they cut gluten is because they are often cutting the added sugar that many gluten products contain. Something to think about when you are mulling that decision over. When considering whether to eliminate one or all of these foods from your diet, try to start with one first and track the differences. Be sure to supplement your diet with a nutritional equivalent so that your body isn’t deprived of the nutrients it needs. If you have been eating these things all your life with no problems, your body can react differently to different inputs at different stages. This could be a result of another factor, or it could just be a new normal. The skin care industry is HUGE. Everywhere you look there is new knowledge, new advice, and new products that are designed to solve all your problems. However, everyone is different. Remember your skin is an organ. Like your other organs, it attempts to function in the most efficient way possible. That’s why I addressed diet first. Also like other organs, it doesn’t always work perfectly. It is not only susceptible to what we eat, but also what we touch, put on it, the medications we take, and the environment that we walk around in. When your skin breaks out, you want to treat the break out, but you also what to prevent it from happening in the future. Sometimes people get too aggressive with this treatment. The best way to prevent stripping your skin is to get a consult from someone who treats skin every day. While some people may benefit from aggressive salicylic treatments, retinol etc, others need a gentle approach. Darin (the creator of elea blake) is an aesthetician and prioritizes the skin in her makeup line. Your skin is your canvas after-all. This is why when people come in for makeup, we often ask them questions about their skincare regime. The most common thing we see is the stripping of the skin’s natural oils with scrubs, cleansers, toners, setting sprays and other drying agents. Even people who complain about oily skin could be suffering from their skin trying to overcompensate from the ‘treatment’ it has received. TLDR: Stop cleansing your skin without giving it back moisture and oil. When using products make sure they are right for your specific needs. If you already use a gentle cleanser / makeup remover (combining those can do wonders) you may really enjoy our new liquid foundation for a tinted beauty treatment. Get a professional, holistic consultation with an aesthetician or dermatologist if the problem is severe enough. It would be nice to think that cosmetic companies, or even skin care companies would consider people’s skin health when creating products, but that isn’t always the case. Aside from the fact that everyone has different skin, some ingredient decks are performance vs skin care focused. I won’t go into too great detail with this because we have a future blog post specifically on this topic, but aside from the fact that our foundation can be customized to someone’s individual skin color and coverage needs, the most common reason we attract and retain our customers is because their skin improves after using our foundation. Our loose mineral foundation is comprised of only the color minerals themselves, and even people who were using other loose mineral products remark on their shock of how much improvement they see. Aside from our foundation, our blushes and bronzers, and even eye shadows have a similar effect. Because a lot of blushes and bronzers are typically pressed and contain drying ingredients (great for stabilizing oils, irritating to an organ, your skin, that stabilizes its own oils) these makeup products will impart skin irritation solely on the area where blush or bronzer is applied. People who use our mineral foundation who come in with uneven skin on their cheeks, I will usually correctly guess they don’t have a blush of ours. Once they switch, the skin has a much healthier, even glow. If you’ve tried all of these things and haven’t seen ANY improvement, then you may be suffering from a hormonal imbalance or other medical issue. You could also be experiencing side effects from a medication. DO NOT STOP TAKING YOUR MEDICATION without consulting with your doctor first. Remember, while we work with skin every day, we aren’t doctors. If you noticed, we left out stress as a source of skin issues. This is because even if stress is a reason you are breaking out, telling someone ‘not to stress out’ is not helpful. Usually stress only exacerbates an existing problem. Focus on the things you can change, and not the ones you cannot. If you do that, you are setting yourself up for success. Use the tools we and you have available. Even if you know that certain things affect your skin, it can be difficult to cut them from your life (dairy anyone? anyone?). In that case, knowing why you break out is often just as helpful as treating it perfectly. Try to remember that often when we look in the mirror our reflection is affected by our own mindset. I hear people with beautiful skin describe a flaw that appears more in their own mind than anyone else’s. Embrace your own unique beauty. Love yourself and that will result in not only a healthier mindset, but also a healthier body. We understand that skin issues can be sensitive, which is why we wrote this article to begin with. While it can be hard to think clearly if you are feeling desperate from your skin situation, we recommend that you try to take a deep breath and proceed with a scientific approach. Isolate the problem areas, the things that exacerbate the problem, and the things that are more whack-a-mole solutions than fixers. You can do this! We’re here to help.